Achieve your business goals with high-quality, affordable commercial signs and graphics by your local Oregonia sign company, Sign Connection! 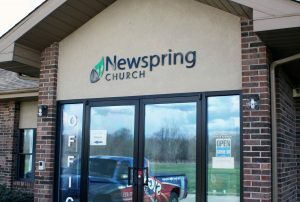 As your leading local signage manufacturer, we handle all aspects of your signage project right here in our Oregonia, OH sign shop. We are committed to providing outstanding signage products and friendly service. We look forward to meeting all of your marketing and promotional needs. The signs your business uses tell your community about your brand, products, and why they should choose you as their preferred provider. 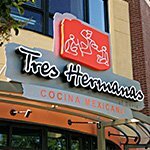 We get your business the attention it deserves with eye-catching outdoor signs, get your brand remembered with attractive, cohesive branded signage, and make it easy for your customers to navigate your business with helpful wayfinding signs. Whatever your needs are, Sign Connection has the solution that supports your business and marketing goals. 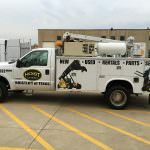 Call Sign Connection today at (937) 203-4481 for your Free Consultation with a Signs & Graphics expert! Are you looking to improve your average ticket, streamline your products, or improve your staff productivity? Sign Connection provides the signs and graphics that will do just that. 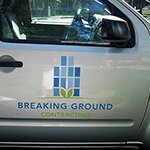 From your initial free consultation to your final sign installation, we ensure that you are getting the perfect signs for your needs, location, brand, and budget. Our experienced consultants are dedicated to providing the right signs for your unique business, so they work with you to understand your local competition, marketing goals, and needs, and recommend the best solutions to achieve those goals. 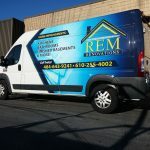 From high-impact vinyl signs to attractive promotional flags, a-frames, banners, yard signs, and more, we make sure that you have effective tools for getting your business noticed and brand remembered. From the products and services you provide to your custom branding, your business is defined by what you do and who you are. So how do you ensure the world knows you exist and that you have the products or services they want and need? 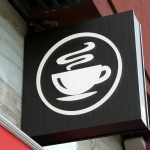 Custom commercial signage by Sign Connection is your solution to getting the perfect signs for your business and goals every time. 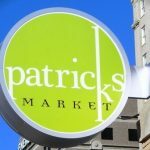 Whether you are an Ohio restaurant, retail store, office building, service provider, contractor, manufacturer, non-profit, government, school, or any other business type, we ensure you understand what signs you need, and how additional signage elements will support your marketing goals. 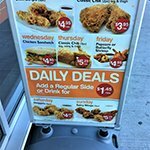 Professionally crafted business signs and graphics are a smart investment that let your customers know that you are a professional provider and you are ready to assist them. The quality of your signage and marketing efforts not only reflect the quality of your products or services but also shows your potential customers that you are a top-notch business and an expert in your industry. 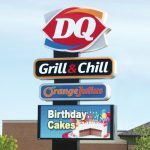 Increase your customer foot traffic with high-visibility, impactful exterior signs and graphics by Sign Connection! 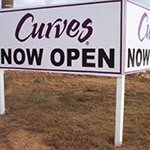 From towering pylon signs to statuesque monument signs, eye-catching window displays to attractive yard signs, we have the visual marketing solutions you need to get your business noticed. Achieving your goals of attracting, converting, and retaining customers, all start with your business storefront. 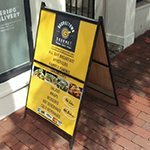 Your storefront is most often the first place new customers learn about your business, so the information it provides needs to be attractive, informative, and promotional. 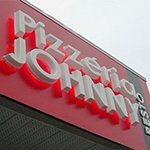 Most businesses will require a storefront building sign, such as dimensional letters, channel letters, awnings, or hanging signs to introduce their brand. 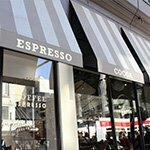 Window displays inform customers of the products you offer, while door signs provide the information your customers need, such as your hours of operations or accessibility. 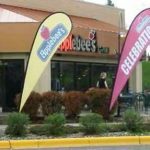 Flag signs, a-frame signs, and banners are a great way to entice customers with special promotions or offers. 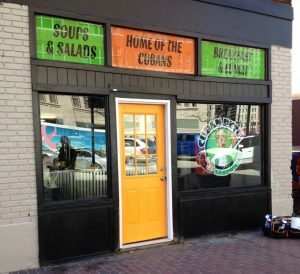 With the right combination of these impactful exterior signage elements, you are sure to stand out from your competition and win more customers, and Sign Connection will ensure that your storefront signage does just that! 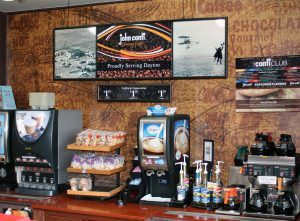 Streamline your products, increase your average ticket, and support your customers with impactful indoor signs by Sign Connection. 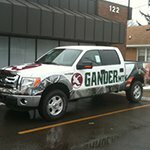 Whatever your business goals, we create the right custom signs and graphics to achieve them. 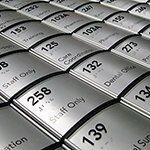 The specific interior signage blend you choose will primarily be determined by your physical location, unique business needs, and legal requirements regarding signage. From helpful wayfinding signage to attractive promotional displays, safety signs, and motivational murals, we will advise you on the perfect elements for your business. We handle everything from your initial free consultation to the final installation of your completed product. 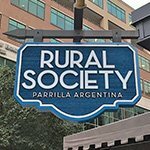 Our goal is to ensure your signage elements are cohesive with your brand, and reflect the professionalism of your business, with a focus on longevity. 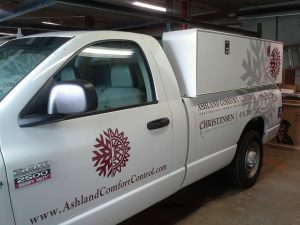 Sign Connection is your local Oregonia signs & graphics company, delivering the solutions you want and need. 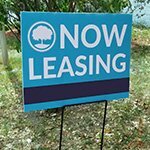 Are you moving to a new site or are unsure of what signage will best fit your business? 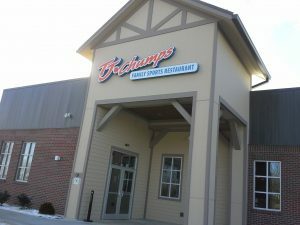 We offer on-site evaluations to ensure you are getting the right signs for your business! 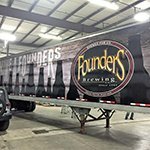 Get your brand, products, services, or business noticed by investing in commercial vehicle wraps and graphics by Sign Connection! 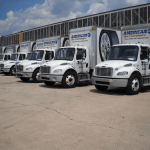 We offer complete fleet wrap services from design through installation on any vehicle type, including tankers, semi-trucks, buses, RV’s, smart cars, motorcycles, golf carts, and more! 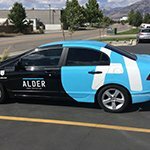 Our wraps provide a protective layer to your vehicle, while also promoting your brand and business everywhere your vehicle can be seen, whether you’re on a job site or parked for lunch! 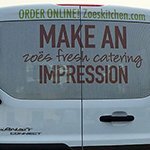 Delivery vehicles, contractors, food trucks, and many other professionals depend on their vehicles to identify their business and promote their brand. 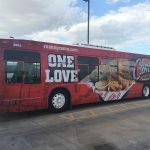 However, every business can also benefit from the increased exposure that attractive vehicle wraps, magnets and graphics provide. Let Sign Connection discuss your visibility goals today! 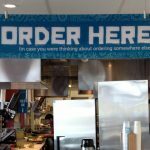 Sign Connection knows that the only sign that can truly reflect your unique brand and business needs, is one that has been custom created to fit your specific brand and business. Your signage must be cohesive and complementary with not only your brand but also your location, needs, time-frame, and budget. We take everything into consideration as we work with you to design the perfect custom sign for your needs. 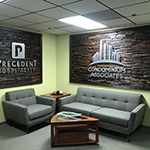 Whether you desire an attractive branded storefront or lobby sign, or need a personalized sign or graphic for your organization, Sign Connection will handle every aspect of your project and deliver the solution you need. 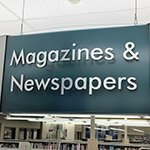 Custom and specialty signage, means that you are genuinely getting something unique and special for your business. From adding lighting elements to etching, carving, sandblasting or burning most mediums, we will make sure your sign stands out from your competition and all of the distractions in your customer’s lives. 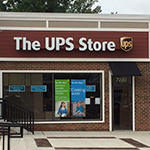 As your leading sign company, Sign Connection, will deliver the custom signage solutions that you want and need to increase brand awareness and draw in your target audience. 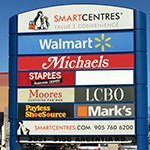 Whether you need a single custom sign or an entire collection of branded business signage, our experienced signage staff is eager to listen to your needs and goals, and create a custom solution for your business. Few sign making companies are the complete package, supporting you throughout every stage of your signage project. Sign Connection is a one-stop sign shop, offering a comprehensive range of signage services, effectively eliminating the need to go from one sign maker to the next for design, fabrication, and installation. Everything you need is right here, in one place, so you never have to worry about the accuracy of your project, we even provide repair and maintenance! We start with a free consultation where our consultants will discuss your specific signage needs, business goals, and marketing ideas. 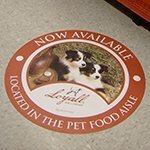 This early insight allows us to make smart recommendations to fit your unique brand, budget, and timeframe, as well as selecting the best sign types, materials, and placement to suit your location. 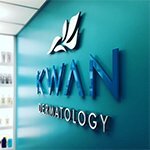 Our consultants work closely with our sign design team to ensure that your vision is captured in the final design. While you have complete editing control over your design, we want to make sure that we get as close to your ideas and vision as possible before presenting you with the draft design. 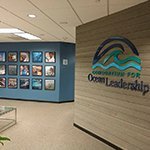 We are committed to producing environmentally friendly signage, by utilizing efficient manufacturing and business practices. By using sustainable machines, materials, and methods, we can reduce material waste, conserve energy, and save you both time and money. We also ensure that you have all the required elements for installation, provided by our experienced installation team. 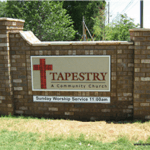 Do you have an outdated sign that needs removal, or a sign requiring repair or maintenance? 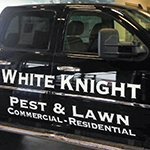 Our professional sign repair team will assist you in understanding what option is best for your unique situation, from sign repair or element replace to complete sign replacement. 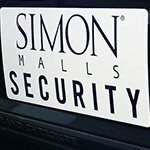 Whether your sign is starting to show wear or is no longer lighting up, we ensure that your sign is back to work in no time. 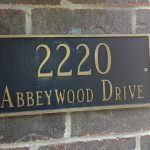 From sign replacement, sign repair, or sign remodel, Sign Connection is your reliable signage provider. 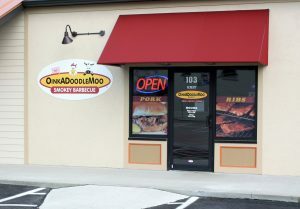 When you need quality signage created for your business, then you have come to the right place. 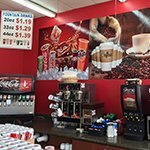 We custom-create a wide range of signs from storefront signs to wall murals and everything in between. Sign Connection is always here for all of your signage needs. At Sign Connection, we know that only high-quality, attractive business signs will have the impact you need to achieve your goals of attracting, informing, and retaining clients and customers for your business. We are committed to your satisfaction through every stage of sign creation and sign ownership, providing expert design, manufacturing, installation, maintenance, and repair for all of your signage products. 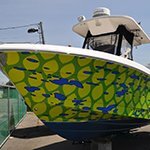 As your local Oregonia sign company, if you aren’t completely satisfied with your product, then we aren’t satisfied, and we will do everything needed to make it right for you. So when you need a reliable signage partner that will deliver the solutions your business needs, Sign Connection is the right choice! 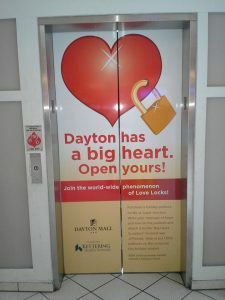 Contact Sign Connection today at (937) 203-4481 for your Free Consultation with a Oregonia Signs & Graphics expert!